Labor Relations News Update December 11, 2014 | Oliver Bell, Inc. In a late afternoon vote, the Senate on Monday confirmed the nomination of Lauren McFerran to serve as member of the National Labor Relations Board. The final tally was 54-40 along party lines. McFerran – who will replace outgoing member Nancy Schiffer – will remain a member of the Board until December 16, 2019. McFerran’s nomination came as a surprise to many, as former recess appointee Sharon Block had been President Obama’s original choice to replace Schiffer. The President unexpectedly withdrew her nomination on November 12. Although Block and McFerran, currently chief labor counsel to the Senate Committee on Health, Education, Labor and Pensions (HELP), likely share a common ideology regarding labor unions, McFerran carries less political baggage. During a HELP Committee hearing to consider McFerran’s nomination, Ranking Member Lamar Alexander (R-TN) considered the withdrawal of Block’s nomination a “gesture of respect” to the Senate following the Supreme Court’s decision in Noel Canning holding that Block’s recess appointment was unconstitutional. Now that the Board is assured continued operation with three Democratic and two Republican members for the near future, there is less of an urgency to issue the controversial expedited or “quickie” election rule, or publish decisions on an array of divisive issues. McFerran’s confirmation will not, however, delay the issuance of these rules, decisions, and other initiatives indefinitely. Representatives from Vale Ltd. and United Steelworkers Local 6500 held a joint news conference Wednesday to signal their intention to work together to settle a new collective bargaining agreement before the current one expires May 31, 2015. The fact it was held at the Steelworkers’ Hall was unprecedented for a company and a union who were involved in an acrimonious, year-long strike from July 2009 to July 2010. Both sides want to put that troubled past behind them and move forward so history doesn’t repeat itself. Rick Bertrand, president of USW Local 6500, told reporters a great deal of work has been done between his union and the company to repair the bad feelings that existed after the longest strike in the union’s history. In the past, the company and the union have met first on neutral territory — usually a hotel boardroom — making a show of exchanging proposals about three months before a contract expired. No proposals have been exchanged yet between the parties. About 2,700 members of USW Local 6500 are being surveyed about their priorities in negotiations. Neither Strong nor Bertrand would say what issues might be on the table in talks, and said they won’t be sharing information with media and the public throughout the negotiation process. Bertrand said the news conference was held because the two want to send a positive message to the community that they believe a deal can be negotiated. Bertrand and Myles Sullivan, USW’s staff representative and area co-ordinator, will lead Local 6500’s bargaining team. Vale’s bargaining team will be led by Mitch Medina, the company’s director of human resources, safety, health and the environment. Medina was once a member of USW Local 6500 and worked as a furnace operator for the mining company. He moved into human resources several years ago and has been involved in some bargaining with USW Local 2020, representing the office, technical and professional unit at Vale. Strong and Bertrand worked at the same Vale home plant more than a dozen years ago, Strong told reporters, and have had several meetings in recent months. 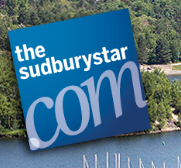 Vale and USW have bought advertising space in The Sudbury Star and other city newspapers to publish a joint letter to the community about their approach to bargaining. “Our community is very important to both Vale and the United Steelworkers, and we understand the wider benefits to our city when we work together in a spirit of co-operation,” the parties say in the letter. When asked if Vale’s parent company, Brazil-based Vale SA, might have influence over bargaining, both Strong and Bertrand said the intent is to keep talks local. Part of the reason for holding the news event, said Strong, was to demonstrate that negotiations will be done in Sudbury. Bertrand said the plan is to negotiate locally. The union and the company have already struck their bargaining committees and they brought them with them to the news conference. Strong was asked by reporters if the fact Vale is considering selling 30 to 40% of the shares of its base metals division, which includes Vale’s Sudbury operations, would have an impact on contract talks. In an annual presentation to investors Dec. 2, Vale chief executive officer Murilo Ferreira said an initial public offering of shares would “unlock” the value of the base metals division. Jean-Charles Cachon, a professor in Laurentian University’s Faculty of Management, has been involved as an executive member of the board of the Laurentian University Faculty Association for 25 years. He has also attended many meetings at Vale. Cachon said he noted a change about a year ago at Vale when it began decentralizing functions it had centralized after it purchased Inco in 2006. A new team of 10 or 12 local purchasers for Vale was introduced to SAMSSA members, which was received positively by the association’s members. Vale also rewrote its Code of Conduct two years ago and it is as good as those at the largest companies in the world, said Cachon. The new code contains provisions relating to nepotism and against the “bad practices” that used to be the rule in many companies in the mining industry, said Cachon. Despite their Democratic leanings, Teamsters are all for the Keystone XL pipeline. International Teamsters Union President James Hoffa wrote an op-ed in the Detroit News pushing Michigan lawmakers to approve the Keystone XL pipeline to help middle-class Americans. Keystone XL’s approval has proven to be a divisive issue for the Democratic Party, pitting environmentalists against union members who want to see more major projects being built to help create union jobs. Unions have been quite vocal in their support for Keystone XL. Terry O’Sullivan, president of the Laborers’ International Union of North America, has repeatedly criticized the Obama administration for delaying its decision on Keystone. O’Sullivan also bashed the Senate last month when they failed to pass a bill to approve the pipeline. “Today’s failure of the U.S. Senate to authorize the Keystone XL pipeline is a vote against all construction workers, a vote to keep good, middle-class jobs locked out of reach and a vote to continue to rely on nations that hate America for our energy,” O’Sullivan said, according to the Washington Examiner. Even AFL-CIO president Richard Trumka has said Keystone is an area where Democrats and Republicans can work together, though AFL-CIO has not explicitly endorse the pipeline’s approval. AFL-CIO and other unions have been somewhat hesitant to weigh in on Keystone as they are trying to work together more with environmental groups. For example, some unions took part in the 400,000-person “People’s Climate March” through New York City in September. Keystone XL would bring Canadian oil sands through the U.S. to refineries along the Gulf Coast where most (if not all) of it will be refined into petroleum products like gasoline. The State Department says the project could create 42,100 jobs, including 3,900 construction jobs. But the project has been delayed for more than six years and President Obama has given no indication that a decision on the project is coming in the near future. Environmentalists say Keystone XL would harm the environment from oil spills and contribute to global warming. Pipeline supporters, however, have countered these claims, pointing to the State Department’s review of the project which found it would not significantly impact the environment or the climate. The Petroleum and Natural Gas Senior Staff Association of Nigeria (PENGASSAN) has concluded plans to embark on a three-day warning strike in protest against the delay in the passage of the Petroleum Industry Bill (PIB) and other anti-labour activities of employers in the oil and gas sector. The warning strike follows the expiration of the 14-day ultimatum issued by the National Executive Council (NEC) of PENGASSAN to the federal government and other concerned employers’ and agencies in the sector. It said the ultimatum had since expired without any meaningful resolution or commitment from either the government or the concerned employers’ and agencies at resolving the issues. A statement issued by the oil workers union said all organs of the union have been fully mobilised for the industrial actions that will affect every value chain in the upstream, midstream and downstream oil and gas industry. The anti-labour activities listed by the oil workers include, retardation of staff promotion in the Petroleum Technology Development Fund (PTDF), non-standardisation of nomenclature and collective bargaining agreement of the Nigerian Nuclear Regulatory Agency (NNRA), in line with what obtains in other agencies in the oil and gas industry, refusal of the management of Addax/Petrostuff Nigeria Limited and Chevron/Sudelletra to recall sacked staff, Petrobras managment unprocedural release of staff and its refusal to renew expired collective agreement and the unjust termination of appointment of the Port Harcourt Zonal Secretary and Treasurer of PENGASSAN and NUPENG respectively. Other issues are the perilous state of the nation’s strategic and industrial roads and highways, non-beneficial deductions of National Housing Fund (NHF) from our workers, un-abating measures of addressing pipeline vandalism and crude oil theft, and divestments by International Oil Companies (IOCs) without clear guidelines to check the resultant arbitrary job losses and heightening insecurity of members/families in the troubled parts of Northern Nigeria. The union noted that plans are at the final stage with its sister union, the Nigerian Union of Petroleum and Natural Gas Workers (NUPENG), to mobilise members for a nationwide industrial actions that will disrup operations in the oil and gas sector until the federal government show genuine intention to earnestly attend and resolve the issues of industrial dispute. The union explained that the purported termination of the appointment of its Port Harcourt Zonal Secretary, the NUPENG Zonal Treasurer was an ill-conceived act of victimisation by their employers and which the NNPC, Federal Ministries of Petroleum Resources and Labour and Productivity, the Department of Security Services (DSS), Department of Petroleum Resources (DPR) had advised their management against this act but they remained unbending. On crude oil theft and vandalism, PENGASSAN alleged high level collaboration of the security agencies, politicians and highly placed Nigerians in the buccaneering racket of oil and gas installations, adding that the ugly trend signifies a looming extinction of the oil and gas industry with attendant job losses. The association described the deduction from workers’ salaries for the National Housing Fund (NHF) as sheer exploitation and demand that the deduction should be stopped forthwith, warning that it would resort to whatever necessary action it deems appropriate to protect its members from further exploitation of the non-beneficial policies that has serve no member’s interest in the sector.